Discover the most important social media marketing trends for 2018. Social media is hard to ignore (and why would you even want to ignore it anyway). Constantly changing and evolving, the many digital platforms and communities available enable businesses and individuals to stay connected like never before. 2.8 billion of us (that’s 31% of the world) are on social media today – according to We Are Social. 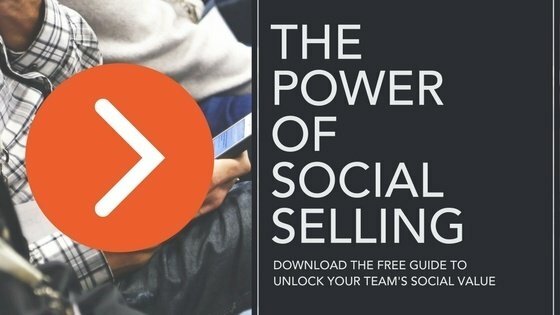 If your sales and marketing efforts aren’t being supported by their colleagues on social media, then they’re already lagging behind the most successful companies. Interest in this area has grown by 191% since 2013 with 90% of brands already pursuing some form of employee advocacy – according to Altimeter. The people working for your business are some of your biggest fans. They spend their working day raving about your business to all they meet, and in their social time they no doubt also talk to others about their job. They have great potential in the social media space, although this is often left untapped. On social media, employees are able to generate attention and interest in the brand they work for – they have an online reach to an audience your brand may not be communicating with. In fact, it’s almost a certainty, as employees’ social networks usually equate to 10x their company’s when combined. 2018 will see brands giving even more trust to employees to use social media to truly advocate the business they work for, utilising their reach and formidable influence. This can be optimised through setting targeted KPIs and performance reviews, integrating their social media work into their job description and working day. Find out how to start 2018 right with this awesome article. Marketers and social media commentators have been banging the video-marketing drum for a few years now and 83% of business believe that it provides good ROI. Amazingly, nearly 40% still haven’t adopted it as a part of their content-marketing and social strategy – according to Wyzowl. With video content expected to dominate 80% of the internet by 2020, it’s little surprise that video is once again tipped to be one of the most dominating trends on social media. In terms of benefits, it allows brands to add exponential levels of personality to their feed (when done right we hasten to add), tapping into a space where more and more attention is being spent. Anyone who has spent even a small amount of time on Facebook or Twitter in recent months will have noticed the apparent power of communication through memes. From people sharing them to tagging those they love in the posts, memes are a quick way of getting fans on board and making an idea viral. It’s not just social brands sharing them now – newspapers and key individuals are getting on board. They are often funny and relatable and help to show that brands are made of people who like to have a laugh too. We should probably end this with a disclaimer for any brands looking to jump on the meme wagon, don’t fake it. If your brand’s audience doesn’t suit the personality then it’s best to leave memes off of your marketing to-do list. Social media posts have a short shelf-life in terms of their initial impact, so they need to make a quick and positive impression. As such, it’s about getting fantastic content for little cost. Working with influencers and established content creators can be massively beneficial to brands, more than half actively used it last year. Influencer marketing is expected to grow still in 2018, so it’s definitely worth your consideration. It allows you to tap into a new audience and show added credibility through word-of-mouth referrals. Like any campaign, a misguided match could spell disaster for your brand, it could also be argued that demand has driven prices up. Snapchat first introduced the idea of creating short-lived stories, followed by Instagram, and then Facebook. Where one social network goes, the others follow. There is going to be an increased shift towards stories during 2018 as individuals and brands offer running updates of their everyday activities. On Snapchat alone, over 3 billion snaps were sent each day on average last year! A lot like employee advocacy and social selling, 2018 will see a further shift in the importance of the user as brands rely on content sources without their marketing walls. Hashtags on Twitter topics are traditionally the prime example of user generated content, but of course there is also Instagram which now allows users to follow specific tags. If your employees are worth their weight in gold when it comes to social influence, then your customers are merely a whisker behind them. Don’t just rely on hashtags, snaps and video reviews either, a simple testimonial is still a unique and powerful example of user generated content that your brand can harness. It can also help to build partnerships with other brands, new influencers or even individual customers.